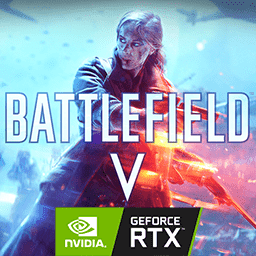 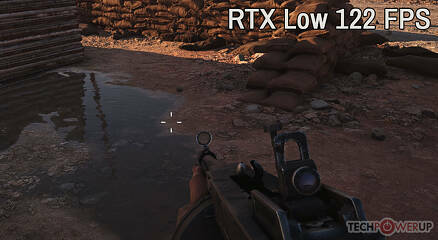 On this page, we compiled a handful of test scenes, one from each of the four "DXR reflections quality" settings (low/medium/high/ultra), with the Tides of War Chapter 1: Overture patch from the 5th of December, coupled with NVIDIA's 417.22 WHQL drivers. 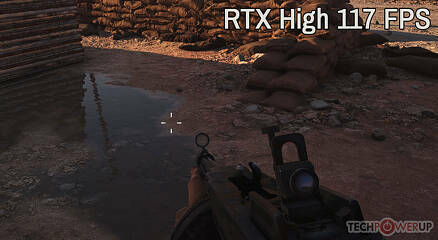 The Screenshots page of our original Battlefield V DXR review has additional images describing technical aspects of DICE's implementation of DXR for reflections. 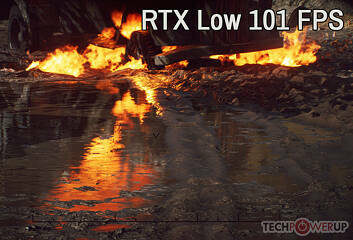 Each of the screenshots below was captured using a GeForce RTX 2080 Ti graphics card at 1080p and cropped to show the important parts only. 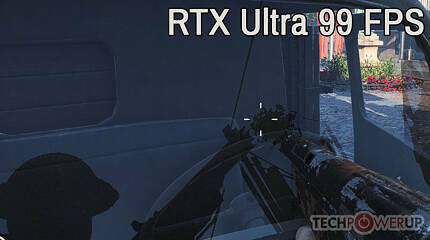 As a quick refresher of what each of the four grades of DXR reflections quality means, "Ultra" sets the maximum ray count to 40 percent of the number of screen pixels and applies ray tracing to materials with 0.5 smoothness or higher. "High" does the same, but reduces the maximum ray count to 31.5 percent of the number of screen pixels. 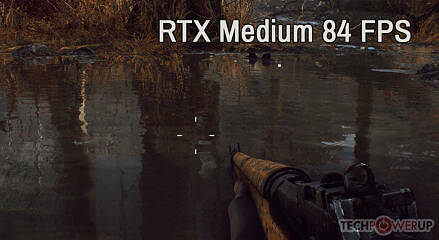 "Medium" and "Low" apply ray tracing to materials with 0.9 smoothness, and "Medium" uses a 23.3% ray-count, while "Low" reduces that to 15%, which is barely better than screen-space reflections. 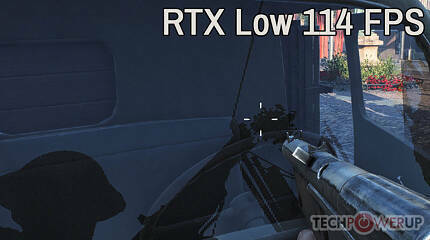 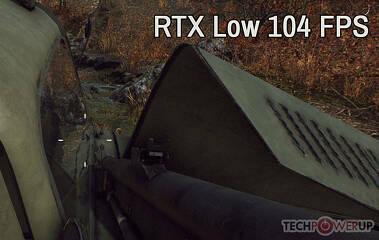 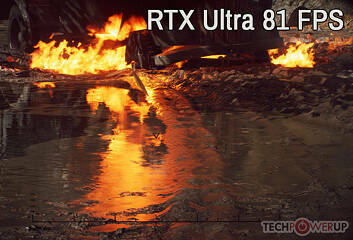 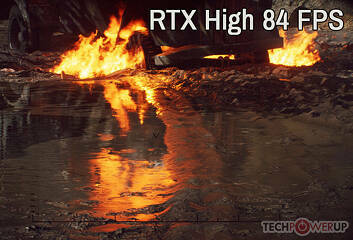 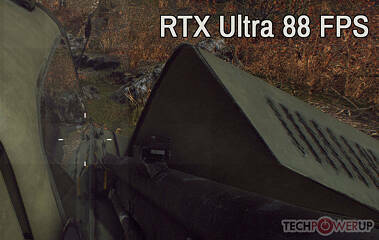 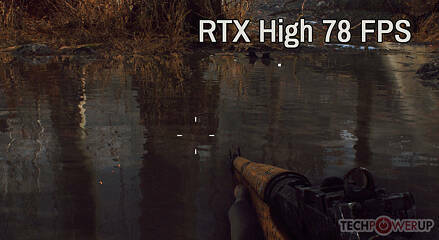 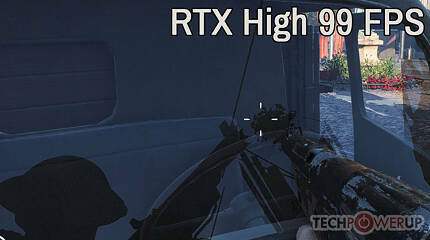 This means that depending on the RTX details setting, some surfaces are reflective or not. 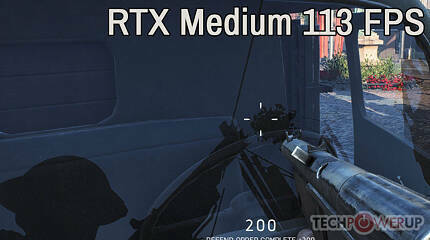 Please note that you can use the cursor keys to quickly flick through the images for an easier comparison. 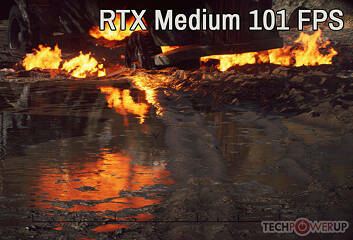 This first set of images highlights the stark difference between Ultra/High and Medium/Low. 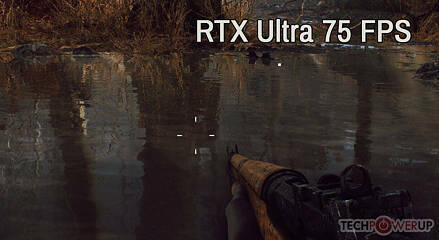 You can tell from the jagged edges in the reflection of the rifle barrel that the reflection quality (or the quality of render of the reflected viewport) has tangibly dropped. You'll notice that the gun looks like it's chrome-plated in the "Ultra" and "High" settings, while it's dark in the "Medium" and "Low" ones. 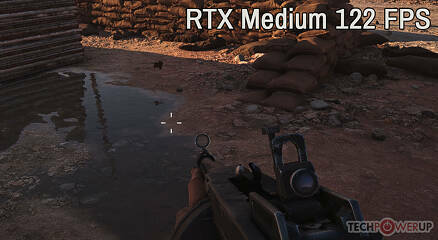 This is because "Medium" and "Low" not only have lower ray saturation as DICE has also reduced the number of reflective surfaces in the scene, which includes the gun, by lowering the material surface factor. 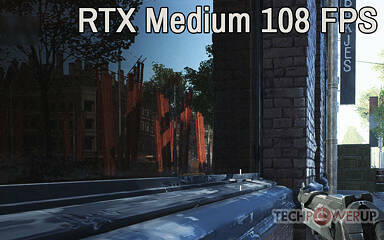 Not all surfaces are equally reflective, and with lower settings, they don't reflect with the DXR method. 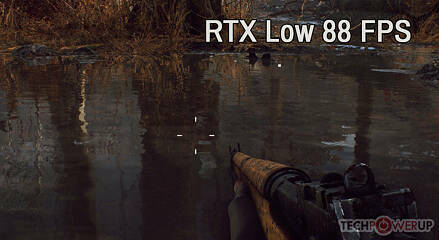 This is not new to this patch.